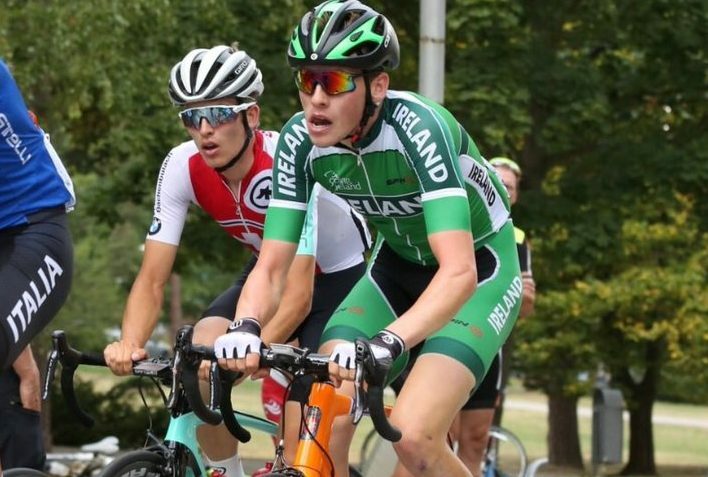 He’s come a long way and now he’s going to the Worlds: Conn McDunphy will definitely ride for Ireland in Innsbruck. 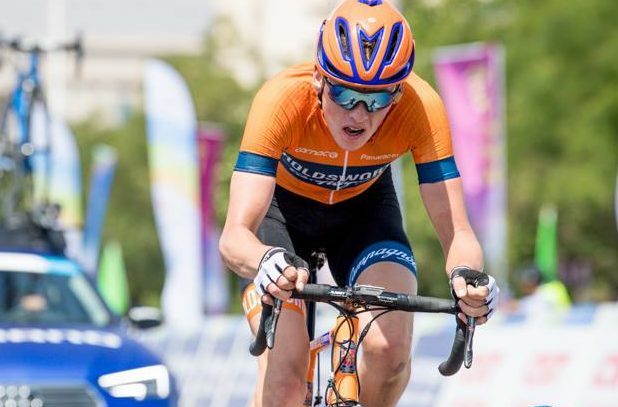 Conn McDunphy is set to ride for Ireland at the World Championships in Innsbruck. 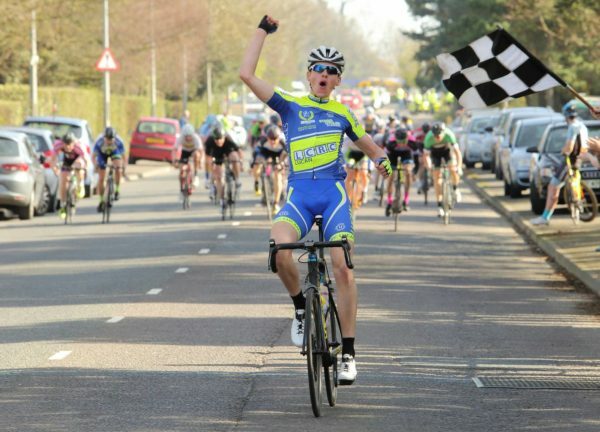 The Holdsworth Pro Racing man had been named as reserve for the U23 team. And now that Eddie Dunbar (Team Sky) has decided not to ride the TT in Innsbruck, McDunphy gets his place in the test. It means he joins Michael O’Loughlin in representing Ireland in the time trial next Monday week. His upgrading into the team emerged on Friday and comes after McDunphy has made remarkable progress in his cycling career in recent years. “I’m delighted to have been given the opportunity to ride the TT,” he told stickybottle. It’s looks like quite a challenging course, having studied the route. So hopefully it will suit me. McDunphy has come through the ranks at Dublin club Lucan CRC. A number of older members have invested in the emerging young talent in recent years. And that effort on the part of the club has helped Conn McDunphy and Dermot Trulock to become two of the best riders in the country. McDunphy joined the UK-based Continental team Raleigh GAC midway through last season. And when Holdsworth launched as a Continental team this year he joined its roster. Even when left to his own devices this season, he has spent prolonged periods riding pro circuit races in Belgium. Indeed, he has competed in a flurry of those events and TTs in recent weeks in Europe, clearly still hungry for racing late in the year. And that appetite and commitment has now seen him secure a place in the Irish team for Innsbruck. The Worlds won’t be the first time he has ridden for Ireland. He rode for the U23 national team in Gent-Wevelgem and the Tour of Flanders in the spring. He was also selected for the European Championships, riding the road race and TT; placing a very solid 18th in the latter. At the National Road Championships in Sligo in June he won silver in the U23 race against the clock. He was beaten to gold, by just 7 seconds, by O’Loughlin. McDunphy is also a talented track rider. He won the Irish elite individual pursuit title last month. In the U23 road race at the Worlds Dunbar, now a Team Sky rider, will lead a team that also features O’Loughlin. Matt Teggart is also picked, along with Daire Feeley and Darragh O’Mahony. National U23 road race champion Darnell Moore was disappointed not to be picked. He appealed the decision, but lost that case. And he has now said that, while disappointed, he was getting behind the team and has extended his best wishes to them.